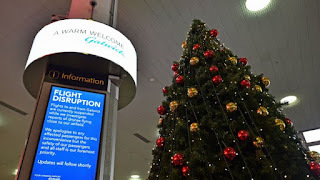 There were thousands of delays and cancellations at London Gatwick Airport in the UK just before Christmas last year due to persistent drone activity over the airport. The attack that caused chaos at the Sussex airport was carried out by someone with knowledge of the airport's operational procedures, the airport has said. Gatwick's chief operating officer, Chris Woodroofe, told the BBC's Panorama programme: "It was clear that the drone operators had a link into what was going on at the airport." adding, they "seemed to be able to see what was happening on the runway". Sussex Police also informed the programme that the possibility that an "insider" was involved was a "credible line" of inquiry. More than 140,000 people had their travel plans disrupted by the drone attacks that caused the airport to close down for 33 hours between 19 and 21 December last year. Gatwick is the UK's second busiest airport, after London Heathrow and is the World's busiest single-runway airport. Mr Woodroofe also told the show that whoever was responsible for the attack had "specifically selected" a drone which could not be seen by the DJI Aeroscope drone detection system that the airport was testing at the time, he added. Gatwick repeatedly tried to reopen the runway, but on each occasion, the drone reappeared, forcing them to close the landing strip again. Many people that the time believed the airport's management had overreacted to the drone sightings, Woodroofe denied this, saying "There is absolutely nothing that I would do differently when I look back at the incident, because ultimately, my number one priority has to be to maintain the safety of our passengers, and that's what we did. It was terrible that 140,000 people's journeys were disrupted - but everyone was safe." 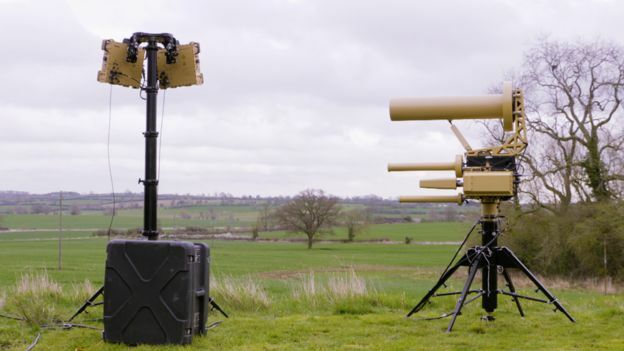 The airport has now bought two sets of the AUDS (Anti-UAV Defence System) anti-drone system, which the military used at the airport during the evening of the 20th December. The equipment is understood to have cost the airport some £5 million. Woodroofe confirmed he was confident that the airport was much better protected now, "We would know the drone was arriving on site and we'd know where that drone had come from, where it was going to, and we'd have a much better chance of catching the perpetrator." The Gatwick Drone Attack will be shown on BBC One at 20:30 BST on Monday 15 April and on BBC iPlayer It will also be shown on BBC World News at a later date.